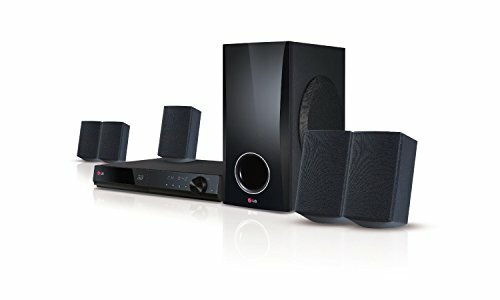 Style:Certified Refurbished Enjoy stunning audio performance with this LG BH5140S Smart 3D Blu-ray Home Theater System. It enables you to easily access premium content from providers like Hulu Plus, Netflix and YouTube directly with an internet connection and subscription. In addition, it features LG apps that allow the user to download additional programs to make your TV experience customized to suit your personal tastes. The LG Blu-ray home theater system also lets you enjoy 3D movies in full HD 1080p. This system includes a receiver, a subwoofer and quality speakers that provide 500W of surround sound. This 3D home theater system is easy to set up and use for added convenience. It is also DLNA compatible, so you can share audio, video and photos across a home network. The private sound mode enables you to listen with headphones.